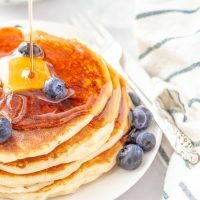 Gluten Free Pancakes - the FLUFFIEST gluten free pancake recipe! 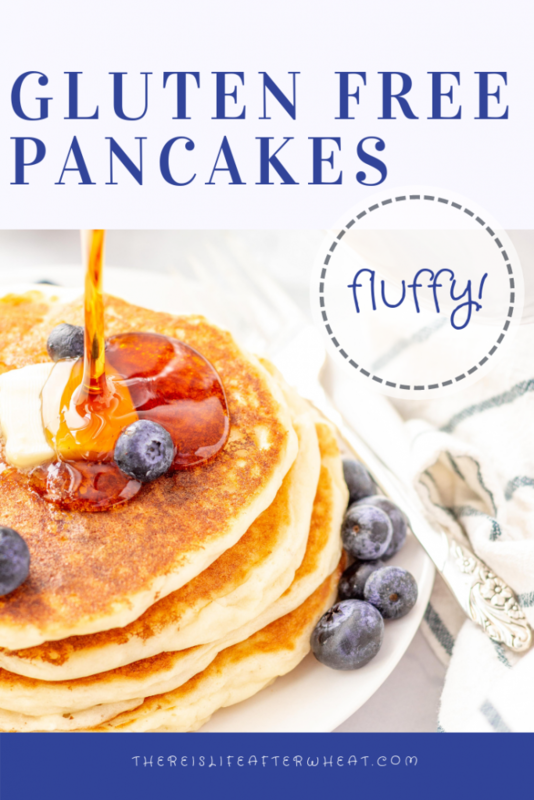 This gluten free pancake recipes makes the BEST and FLUFFIEST gluten free pancakes! We make it easy for you with step-by-step instructions and photos. ENJOY! If you eat gluten free, you really must have a good recipe for gluten free pancakes in your arsenal. Pancakes are a favorite Saturday breakfast in our house, and we often serve them for dinner, too! 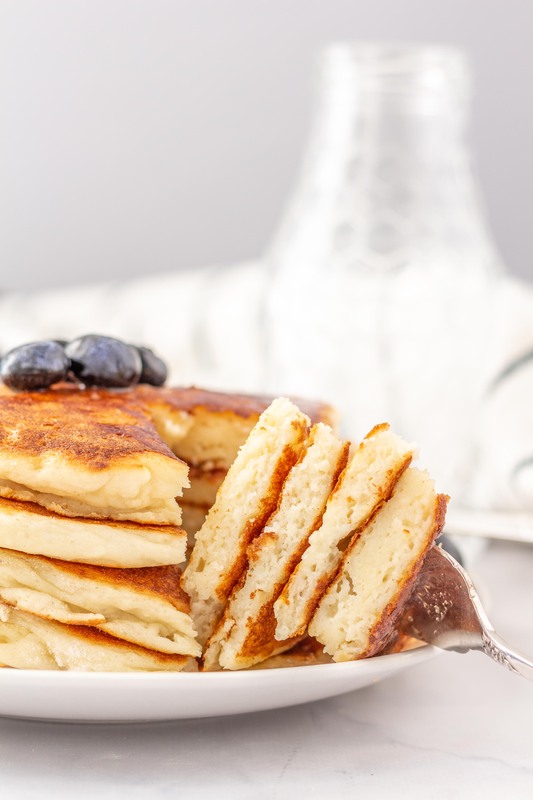 We have spent the past several years developing this recipe for perfectly fluffy gluten free pancakes. 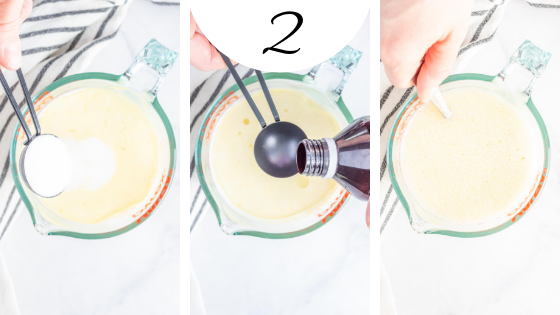 We are excited to share this updated recipe with step-by-step instructions and pictures along with frequently asked questions to help you make the fluffiest gluten free pancakes! 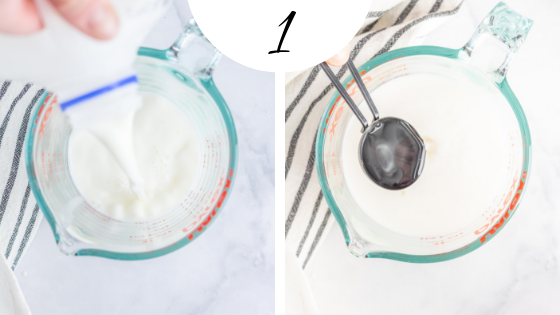 Stir together vinegar and milk in a 4 cup measuring cup or a small bowl. Let it sit for 5 minutes until the milk starts to curdle; the mixture will be similar to buttermilk, but thinner. When the dry and wet ingredients are combined, this vinegar mixture will react with the baking powder to create a fluffy texture. After you’ve let the milk start to curdle, add eggs, sugar, vanilla, and whisk. Set this aside while you mix the dry ingredients. 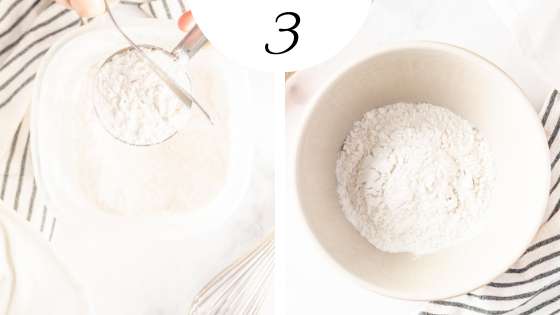 Scoop flour into a measuring cup, being careful not to pack it down. Level off with flat side of a knife or spoon. 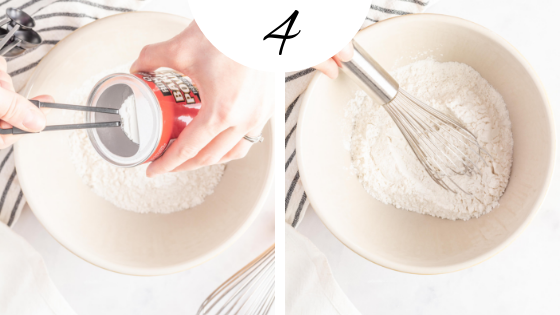 After measuring the flour, add baking powder and salt, then whisk. Use a gluten free baking powder – we like to use an aluminum free variety like this one. 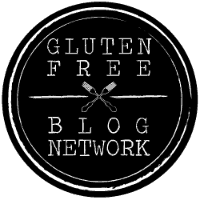 If you’re using a gluten free flour that doesn’t have any xanthan gum, you’ll want to add xanthan gum now as well. Add the wet ingredients to the dry ingredients and quickly whisk together. There might be a few lumps, and the batter will be fairly thick as you can see in the picture. If the batter seems too thick, add a tablespoon or two of milk. If the batter seems two thin, add a tablespoon or two of gluten free flour. The batter will thicken slightly as it sits. Preheat a griddle (or nonstick pan) to 325 F. Once it’s preheated, you can add the batter right onto the griddle using a measuring cup. Use a 1/4 cup size for small, toddle-sized pancakes, 1/3 cup for kid-size, and 1/2 cup for a larger pancake. This gluten free pancake recipe makes about 10 medium-sized pancakes. Sprinkles – because everything is better with sprinkles! In a small cup or 4 cup measuring cup, stir together vinegar and milk. Let sit 5 minutes. Add eggs, oil, vanilla, and sugar and whisk until fully combined. Set aside. 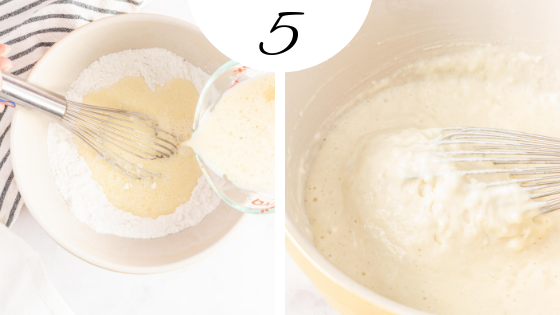 In a large bowl, whisk together gluten free flour, xanthan gum (if needed), and baking powder. Add wet ingredients to dry ingredients and whisk just until combined. Mixture might be a little lumpy, and should be fairly thick. Do not over-mix. 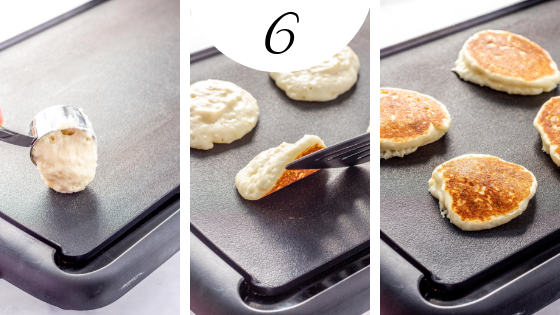 Scoop pancakes onto griddle and cook until the top is bubbly and bubbles start to pop. The bottom should be a golden brown. Flip pancakes and cook for another 30-60 seconds, until the other side is a golden brown and the pancake is set. Serve pancakes with your favorite toppings. 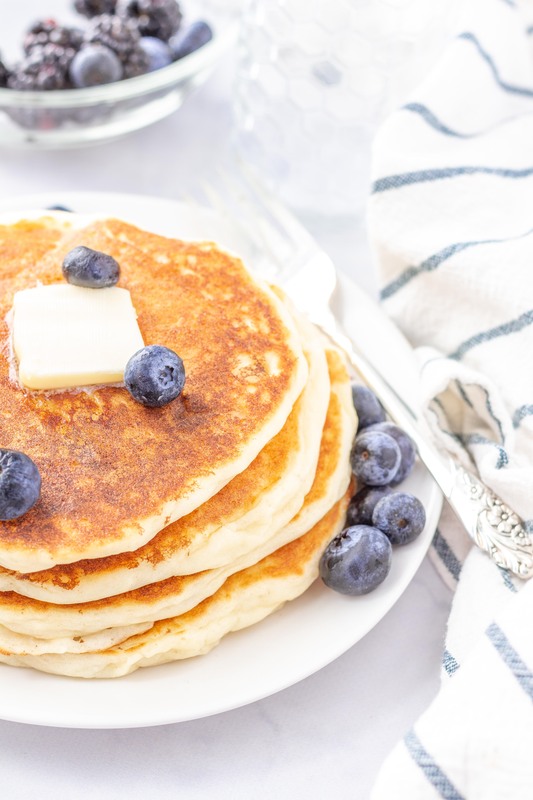 We love to enjoy these gluten free pancakes with homemade buttermilk syrup. 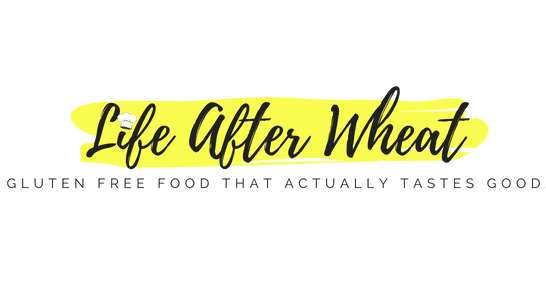 Gluten free flours vary from brand to brand. 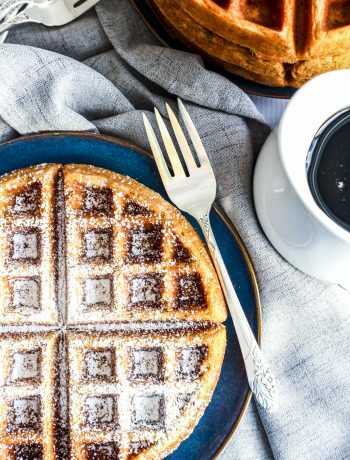 Our favorite gluten free flour blends for this recipe are Gluten Free Mama's Almond Flour Blend (we link to this below) and Grandpa's Kitchen. Bob's Red Mill 1:1 works OK, but isn't our top choice. You can use Better Batter as well, but we find the texture to be best with Gluten Free Mama's. Pancakes look sooo yummy defiantly on the breakfast list . I would be lost with out my pancakes every weekend! My favorite Saturday and Sunday morning ritual…pancakes!! I seriously want these right now! I’ve had a rough morning and could use some comfort pancakes. Pancakes are a great comfort food. I hope your day got better Chrystal! 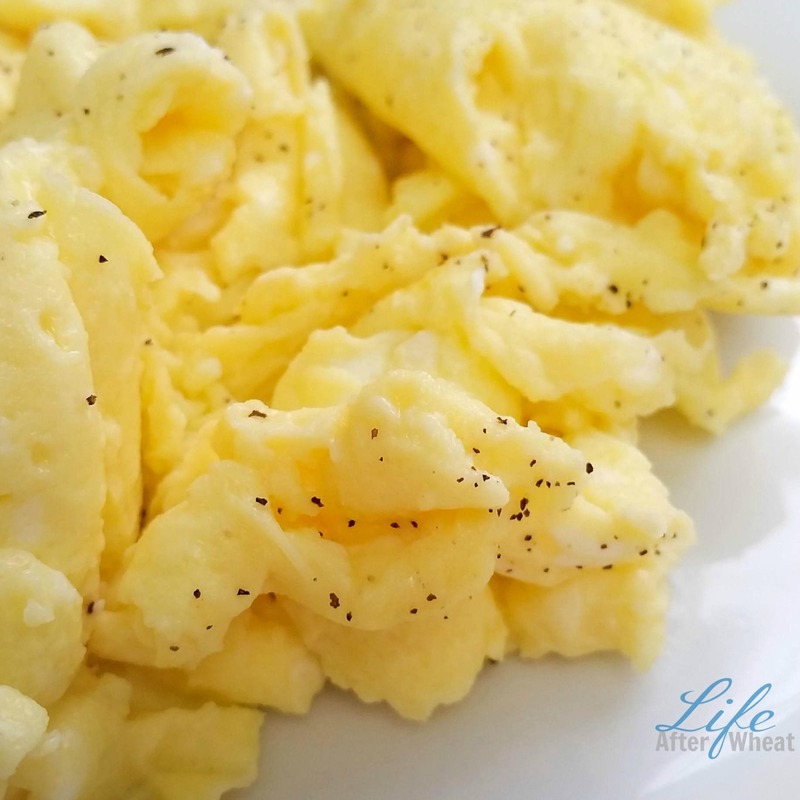 So simple, yet they are the perfect comfort food! These look just like diner pancakes. Well done, Celeste! I wish I had a fork and a pitcher of syrup right now. Mmmmmmm. Those look delicious! My mouth is watering. I’m going to whip up a batch of those and my buttermilk syrup tonight! My kids are going to LOVE. ME. Hope your family loved them! Thanks for stopping by ? Holy cow, they were so delicious. The kids did not stop until they were gone. Thanks so much! So glad to hear that Kasha! These are very good! I’ve never been to a diner that sells gluten free pancakes,so thank you! *I’m going to look up more of your recipes, now that I found this this morning! ps) I used cup4cup flour. Besides the fact that I just commented on a recipe for beef stroganoff from last night… thinking it was THIS recipe (the blogger will be so confused!! )… this recipe isn’t bad at all! I used bob’s redmill cup4cup and almond milk instead of 1% and my batter was pretty thick, I had to manually spread the batter to make them thin enough. But they taste great! Too funny Kelsey, that might explain some of the comments I get 🙂 Glad to hear it works with almond milk too, I haven’t tried that yet. You might be at a lower altitude than us, maybe cut the milk by a few tablespoons next time. Thanks for the comment! These were literally the best gluten free pancakes I’ve ever made and I’ve tried many! The buttermilk makes them!!! Ty so much!! Just made these today for my celiac husband. I used Cup 4 Cup Flour. Thicker batter than I thought it would be and came out a bit oddly shaped, but taste wise hubby loved them! Said they were fluffy and not dense like others we have tried. Thanks so much for the recipe. 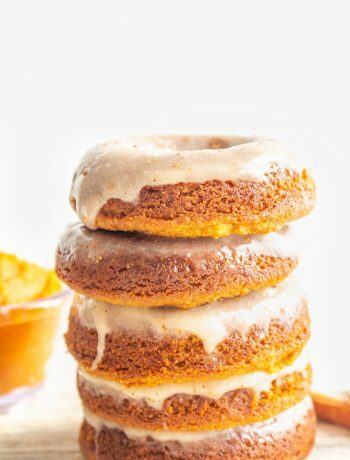 I don’t understand… I tried to make these and they were wayyyyy tooo thick and clumpy. I had to thin it out with at least 2 cups of milk and they were still too thick to cook in the middle. Even after spreading them out with a spoon.. 🙁 I ‘ve been celiac for 10 years and have tried lots of recipes, so it seems that the recipe is off. I don’t have reugular milk as I’m lactose so I used almond milk instead and followed the recipe but it was way too watery and had to double the flour. How can I adjust? Hi Melody, almond milk is thinner than regular milk, which is what made it watery. I haven’t personally tried using a milk substitute in this recipe, so I can’t say for sure. I think your best bet would be homemade cashew milk (let me know if you need a recipe, it’s super easy!) or reducing the almond milk. 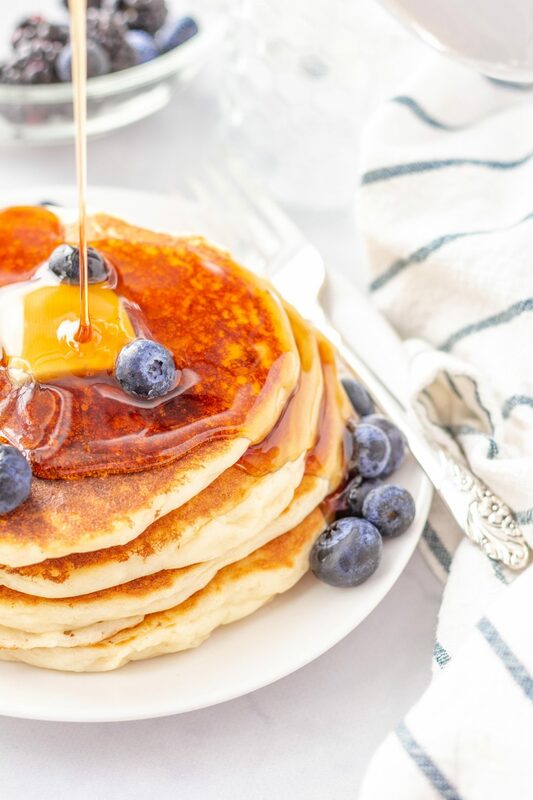 These pancakes are a delicious start to the day! The whole family will enjoy these!